Greg Flint sure doesn’t let his age hold him back to get what he wants. He just wanted the simpler things in life for his retirement. 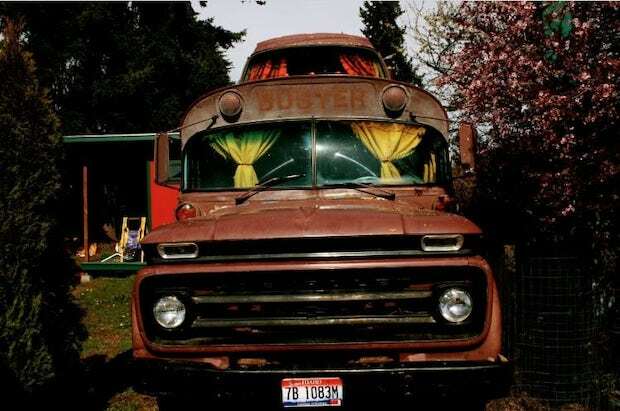 He got his chance when he got his hands on an old rundown bus named Buster. 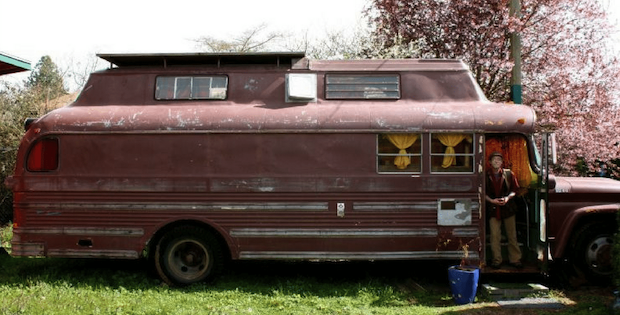 As soon as he saw the bus, he immediately knew how he wanted to rebuild it. 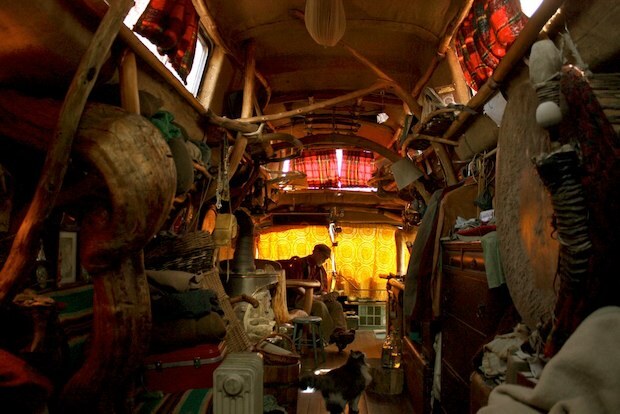 Greg converted the bus into a beautiful and cozy home. 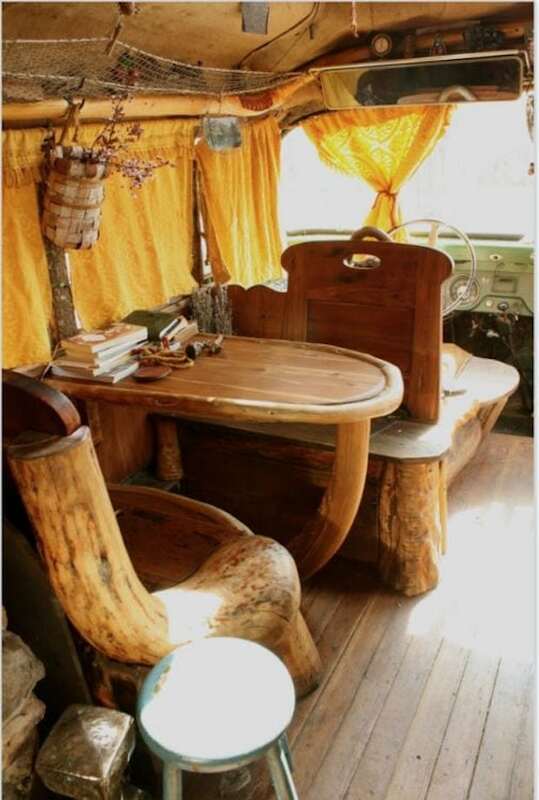 The interior design was nature-inspired, with wood and branches decorating the inside of the bus. 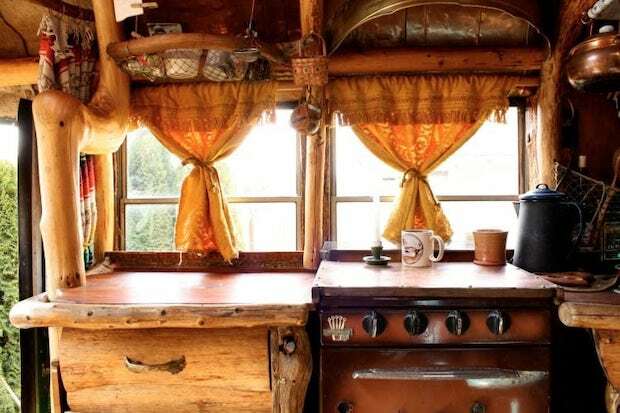 His experience as a master artisan and stonemason allowed him to create a home that felt more like a classic log cabin. 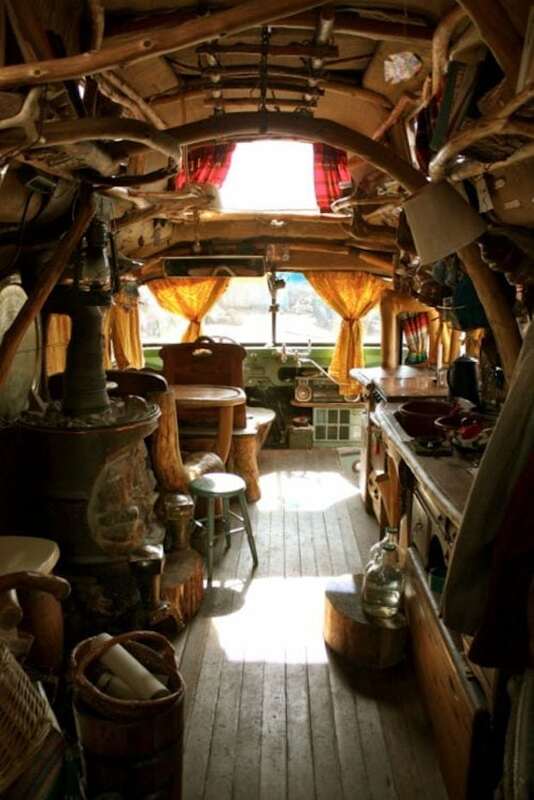 Intricate details and artistic use of wood brought out a warm and cozy atmosphere. 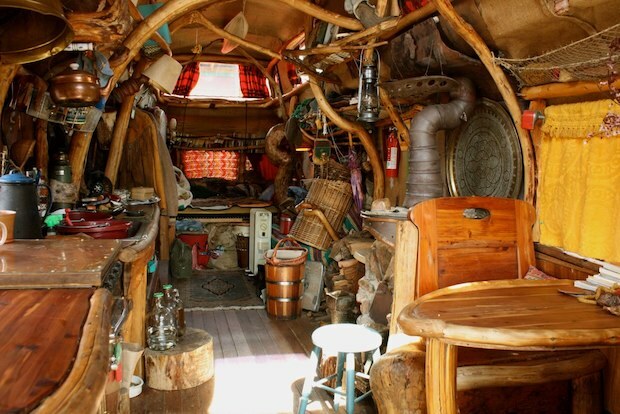 This truly is Greg’s dream retirement home. 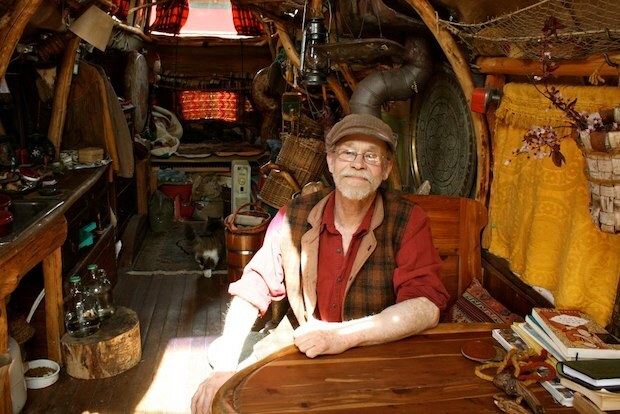 Buster once had an iron woodstove, but it overheated the small space when burning and left me freezing when the fire went out. I built a soapstone fireplace stove. 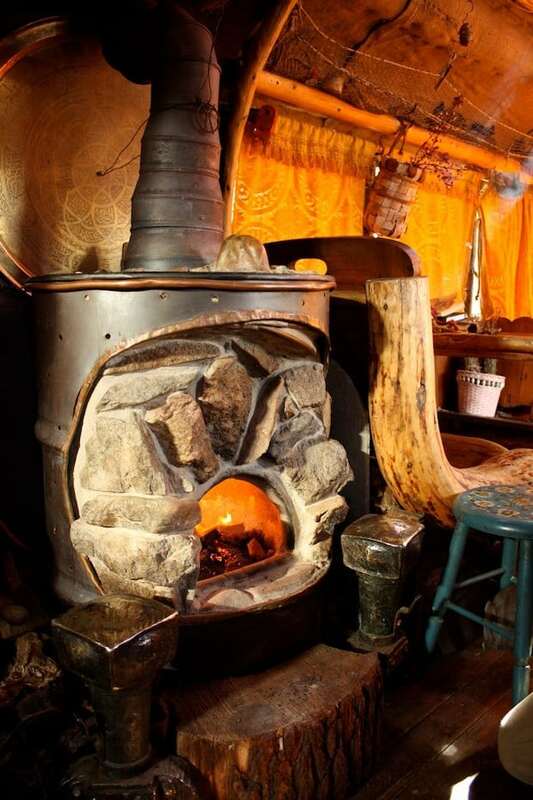 It does not overheat the space plus, after two or three hours of burning, I can let the fire go out, shut everything down, and the soapstone continues to radiate heat all night.